State Bank of India recently released a notification for the post of Clerk / Junior Associate positions. A total of 8301 vacancies are to be filled in all SBI Branches available Pan India. Our Chennai RACE Coaching Institute Pvt Ltd which provided 1500 Online Mock Exams worth Rs. 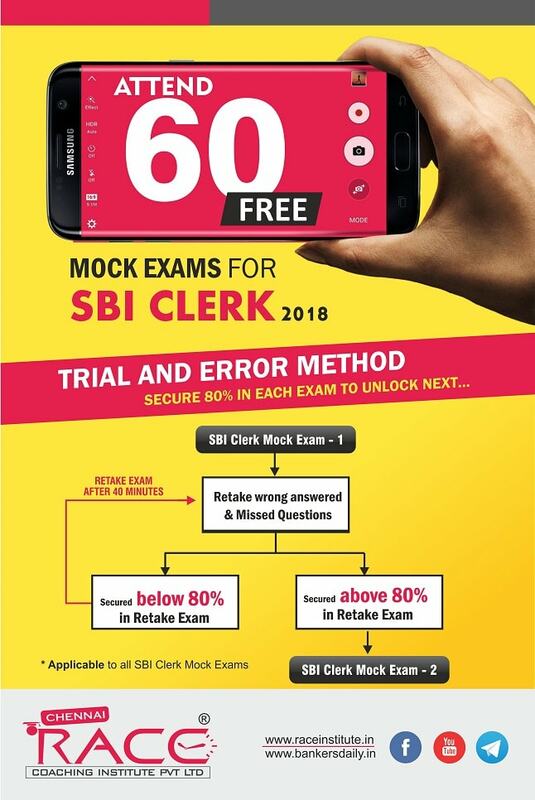 8500/- at free of cost to its students, now started updating 60 SBI Clerk Mock Exams for free. 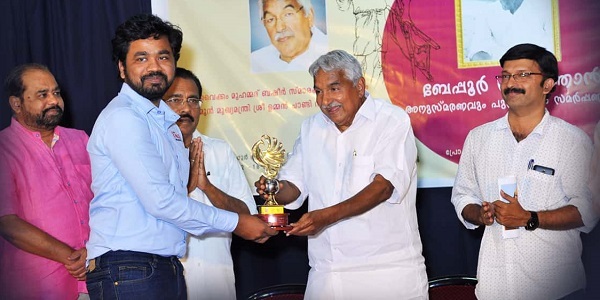 The Online Mock Exams are mostly attended by the aspirants to increase speed and familiarize the interaction with the computer, but we also suggest to take online mock exams and learn from their mistakes. 1: Student attending SBI Clerk Mock Exam – 1 (exams will be available in order, students can’t skip exams) will have to analyze and check their attempt (40 Mins time) after completion of the exam. Section wise timing will be available as per SBI Notification. 2: Student should retake the unanswered and wrong questions from the same exam which is a non-section-based exam (called “Retake exam”). There will be no time limit for any retake exams. The student must secure at least 80% in this retake test to unlock the Next SBI Clerk Online Mock Exam. During the 40 Mins time (approx. ), the aspirant can analyze their attempt, get support from mentor / other students, may identify their mistake. 1. SBI Clerk Online Mock Exams will be available in the Numerical Order. Students can no longer skip exams. 2. A 40 Mins time will be given upon completion of an SBI Clerk Online Mock Exam. During the time, students can go through their mistakes, can try to solve wrong attempts and get support from the mentors and friends. This would let them learn new concepts & shortcuts from the students and staff. 3. “Retake Exam” – consists of Wrong answered and skipped questions will have no section wise timing. 4. 80% of Marks must be secured in “Retake Exam” to unlock the next SBI Clerk Mock Exam. 5. Since you can take ‘n’ number of Retakes for an exam, the score of your first attempt will be considered by our dashboard ranking system. This “Trial and Error Method” is specially created for the SBI Clerk Mock Examinations. 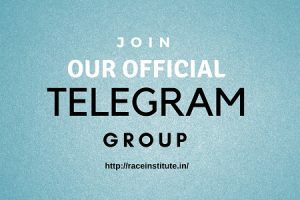 Come on…!, Take a chance to experience and change the way you prepare…! !